North American Elk (Cervus elaphus): Although Minnesota does have a small herd of Elk in the North East part of the state; all of my elk images have been taken in the Rocky Mountains west in either Teton National Park, Wyoming or Jasper National Park in Alberta, Canada. 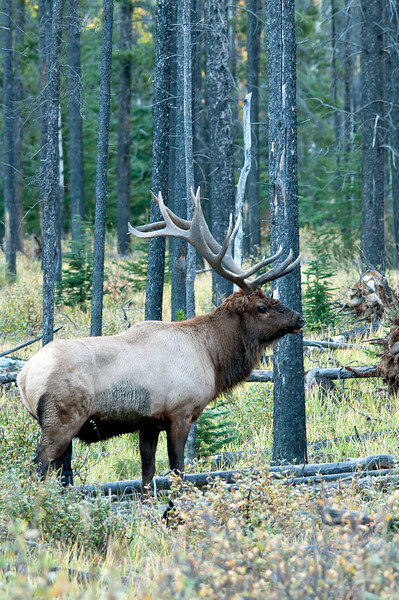 Native Americans called this Elk "Wapiti" which means "White rump". During late September and early October the Elk "rut is on and the Bulls are constantly bugling to let other bulls know who is in charge! For me that is the sound of wilderness when I am in the mountains!